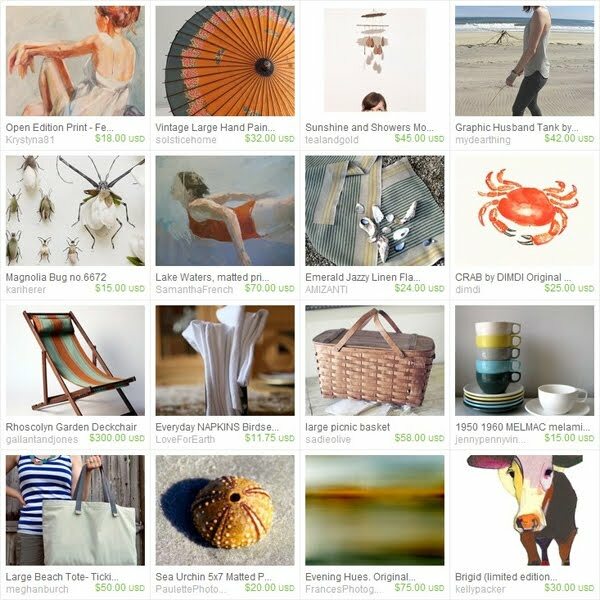 Inspired by Caroline (aka oh chalet!/coolranchstudio), we decided to make a summer treasury! "Thunderstorms threatened but the sun eventually came through. They swam and played until lunch. As the sun set, they collected their treasures and headed home." Beautiful! Love all the picks. My favorite is that garden chair. Thanks Shivani! Your blog is so cute! awww, thanks caroline! that means a lot coming from you! !